This activity can be done with any age group. 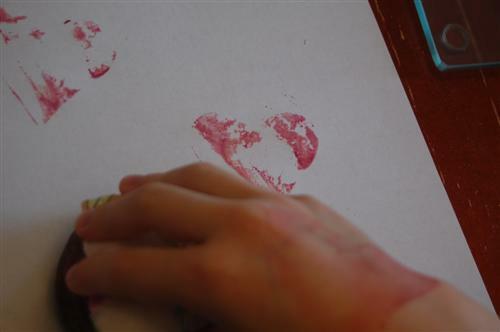 Remember BEET JUICE STAINS. 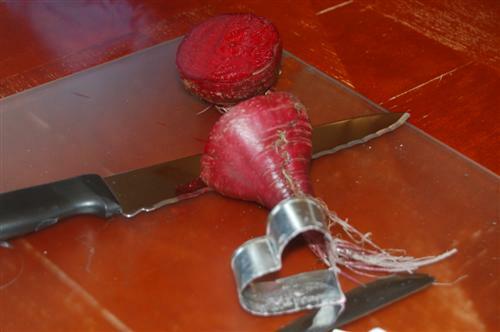 Use cookie cutter to make a heart shape in each half of beet. 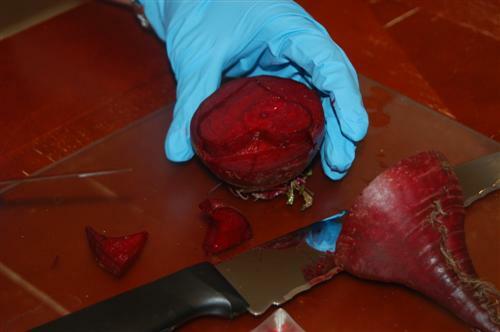 Using paring knife to trim excess beet away from heart design. 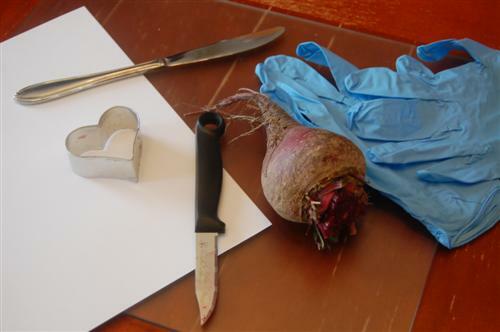 Children's turn for fun -- Give each child a sheet of paper to stamp with the beet. 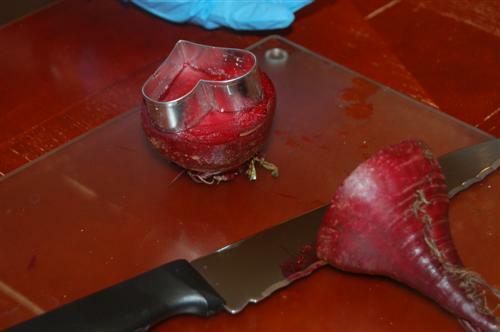 Remember to protect your work surface from the beet juice. Paint shirts or old clothing is recommended. 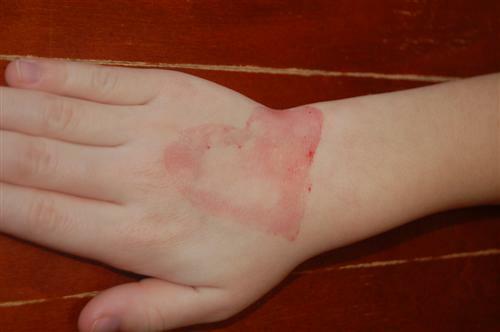 Once children are done stamping with their beets, give them each a "tattoo" with the beet on their arms or hands.